Wow! I’m not real sure where to start. I guess I could always do the obligatory…sorry I haven’t done one of these summary posts in a while, but I read someplace that you shouldn’t apologize for not posting. But then again, it isn’t that I haven’t posted…I just haven’t done one of these summary posts in a while. I guess I’ll start off by suggesting that you subscribe to our RSS feed and podcast. I normally post something of interest two to three times a week and we podcast tri-weekly (if we don’t get to it this week, we’ll try next week). But, you don’t read my blog so I can plug geek stuff I have going on…heck, it isn’t that good of geek stuff. I post to let you know what is going on with us. Starting off, we weathered the election season well. The time of October and November for us was pretty much a non-event. There weren’t any political ads on the TV or in the paper. HA HA! We did register to vote; however, we never did receive our ballots. But, the government provides a way we were able to print off an alternative ballot and mail that in. Now that Obama is president-elect, we need to remember to pray for him and those he is choosing to be in his cabinet. 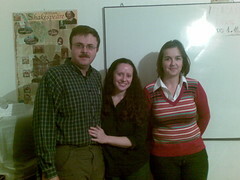 I have been able to get together with some friends who want to study the Bible and work up a lesson in sort of Serbian. It involves lots of work on my part and lots of dictionary work (I have to look up the word in English, find the Serbian word, look that word up to make sure it translates the way I want, then I have to read the passage in the Bible to see what word is used in the passage we are reading….well, you get the idea….). But, through it, God ends up and speaks more through His Word than anything because I typically allow the Bible to speak for itself. I simply point out a few points and try to get people thinking. We are still trying to meet our neighbors. You’d never think it would be so hard just to meet people. However, here, you need to take a gift when you go visit people. We usually take chocolate chip cookies; however, that means we can’t go on Wednesdays or Fridays because those are post/fast days. On those days, people have the option to not eat meat, dairy, eggs, etc…. Well, what is in chocolate chip cookies? Milk and Eggs. We know that not everyone does the post thing; however, we don’t want to put people in a bad place and have to choose between a decision they have made and appearing friendly to us because we stumbled into their apartment on a post day. 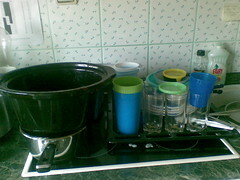 We’ve also been able to do some practical things for people here. Most people here (even in our city of 100,000+ people) burn wood for heat. They get in meters of wood (a meter of wood is a stack 1 meter high, 1 meter wide, and 1 meter long. 10 meters of wood is a stack 1 meter high, 1 meter wide, and 10 meters long). Once they get it, it needs cut, split, and stacked. Well, most people here still use an axe to split their wood; however, we have a wood splitter that we use to help people with their wood. About mid-october, we went to a neighboring town and split wood for a guy who is recovering from a football injury (he broke his leg) and can’t split his own. This was really good and we had a good time with him and his family. Another popular way to heat a home here is with Natural Gas. Now, for all who remember, I used to work for Columbia Gas Transmission and later NiSource. But before that, I really liked gas heat if I couldn’t get wood (the BEST). I forget exactly how much Cyndi and I started paying for gas in West Virginia; however, I think it was less than 50 cents a hundred cubic feet (mcf). By the time we left Columbus, we were paying 99 cents per mcf and thought we were getting robbed. Then, in Richmond, we were paying as much as $1.49 or so per mcf in the winter…HIGHWAY ROBBERY! But, just as oil prices have risen around the world, they have risen here too. I made this post about a month ago when the discussion around town was on the rapid increase of gas prices. Things have gotten slightly better here in the past few months; however, not by much. I’ve also been involved with geek things. I had a friend here ask about studying Java so I worked up a few things. We are still working on getting our schedules in sync to meet, but the files are online if you want to download them. Then, I’ve been called on to do some random computer work other places too. On a slightly related note, everyone should be encrypting their e-mail. If you want some help on this, shoot me an e-mail and I’ll walk you through it. 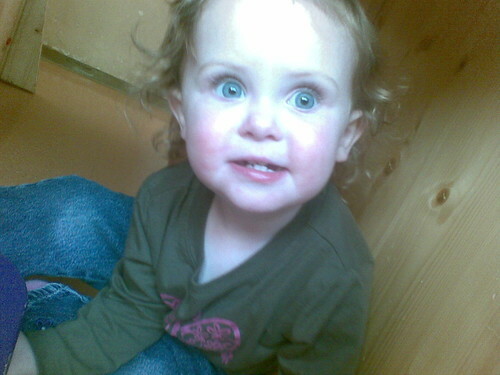 I suppose the grandparents would like it if I would talk about Lydia a bit. She has gotten so so big. She’s walking readily now. She loves to go up stairs by herself regularly now. She wants to go down them by herself; however, she doesn’t really have the confidence yet…she can do it she just doesn’t want to. 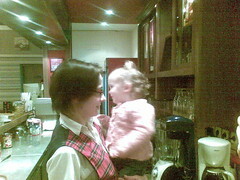 Her hair is getting long and Cyndi normally puts it up in a Pebbles- type pigtail. I can’t wait for the day it gets long enough to put into a real pigtail. 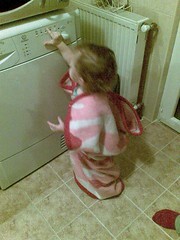 Most of the time she is very cute when we go out together; however, when she wants to be a pill, she can be. She’s made friends with just about the whole town it seems. 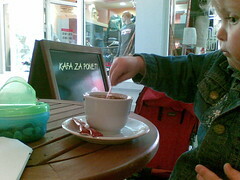 Even the lady at the coffee shop (who has been really nice to us). We finished language study the end of October. The adjustment this month has been interesting. We both like it and don’t like it. we had some great times with our langauge teacher. In some ways, it is nice not to have to work around class…but in others, I miss the structured practice. We’ve had to build some time into our schedule specifically for practice so we don’t get stale. On a slightly related note, while English doesn’t have cases, there are remnants of cases in our language. I found a good example of cases in English and blogged about it. 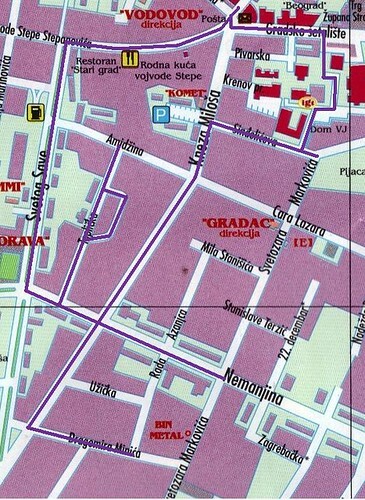 On a more personal note, Cyndi and I were able to take some time and go on a brief vacation around Serbia as well as visit some other countries. 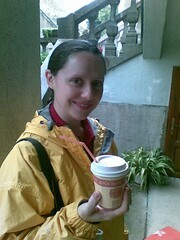 While we were gone, we were able to eat some Chinese Food (YAY) as well as relax. I finished the first book in the Master Life series last month. I’m just reading on my own and will start book two sometime soon (probabaly after the 1st of the year). 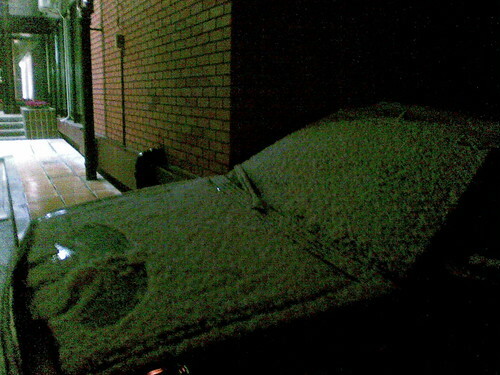 It has snowed several times around town already! Cyndi tried Kvas. I’ve regularly started prayer walking the town. I was able to get out in the woods just in time to get some buck fever (but no hunting). And the day after Thanksgiving, I had some friends over to watch American Football and eat wings. 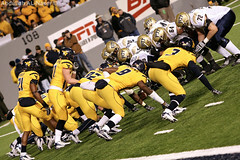 The day after Thanksgiving, I had some guys over to watch football (WVU vs. PITT…live). We ended up and didn’t have sound, but I had 4 friends over. We had a great time watching football, talking, and eating. Cut the tips off the wings then seperate the drumette thing from the wing thing. Deep fry for about 10 minutes (note, the wings like to stick to the bottom of the pan). You want them done and crispy, but not overly done. Oh, by the way, leave the skin on. It gets nice and crunchy. I added about a tablespoon or two of tabasco sauce (that’s all we can get here). In the states, I’d use Texas Pete. It was spicy but not overly so. This recipie madeenough to cover 2 kg of wings (about 4 lbs). Oh, WVU played a good game, but was defeated by PITT. I think the score was 16 to 19 or something like that. 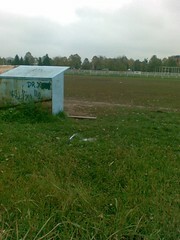 As I continue prayerwalking in town, I find it hard to avoid going over some of the same places I have been previously. You’ll notice that this week’s route overlaps a bit from previous prayerwalks. 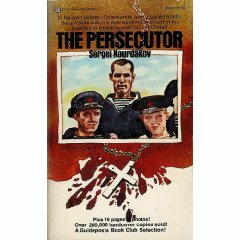 I’m currently reading The Persecutor by Sergei Kourdakov. I’m about 1/2 way through and, so far, it is a good book. The biggest thing I find interesting is everyone’s take on the song. You can clearly see their style reflected in the music. Manhiem is big into BIG music, TransSiberian likes to mash things up, you have the traditional take, then you have Toby. This is our podcast from the 23rd of November. Sorry for the brief hiatus. I hope you enjoy. Just like always, you can play it after the jump or subscrribe to our podcast. 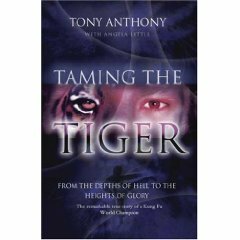 I just finished reading this book called Taming the Tiger by Tony Anthony. He was a kung fu master who came to know Jesus while in jail. The book is awesome and I think, obviously because I’m writing this, that everyone ought to read it. [Edited 11-29-2008 14:14:11] It seems there is quite a bit of discussion on the internet about Tony and his kung fu. I didn’t read about it before I read the book. I don’t know if it is true or not. Just thought I should let you know. 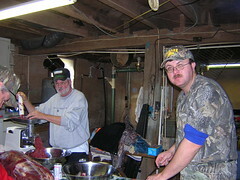 Well, it is nearing Thanksgiving in the US and deer season is in full swing in my home state of West Virginia. This will be the first time in several years that I haven’t been able to get in the woods with a gun for…I don’t know how long. 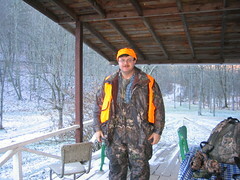 While I may not have always made opening day, I ALWAYS made muzzleloader season. 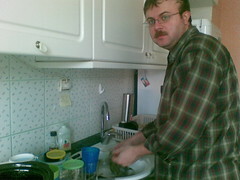 So, while you are in the US suiting up in the morning, eat a bowl of oats (with rasins added at the last minute) for me. Enjoy your time on the stand. And when you get cold, take a short mijander (meander?) through the woods for me. Once you get your harvest, thank God for giving you one of His creatures. Have a safe hunt and enjoy the time with family. Have a great Thanksgiving too. Our first snow in Serbia! We are very excited and even have some pics of snow on the ground in the hills/mountains outside of town. The flurries didn’t last, but the view from our window is still awesome and we’re ready for “mnogo sneg.” Volimo sneg (we love snow)! !